The Socialist Alliance extends its full solidarity to the people of Libya now being brutally repressed for demanding an end to the corrupt and unjust regime of dictator Colonel Muammar Gaddafi. Their courageous struggle, launched on February 15, for democracy and economic and social justice has resulted in hundreds, if not thousands, of people being killed. Civilians have been strafed and bombed from helicopters and planes, and snipers with high-powered rifles have fired into unarmed crowds. The regime’s murderous crackdown has concentrated on Benghazi - Libya’s second largest city, and the poorest – on the country’s north-east coast, but fighter jets and snipers have also been used against protesters in Tripoli. 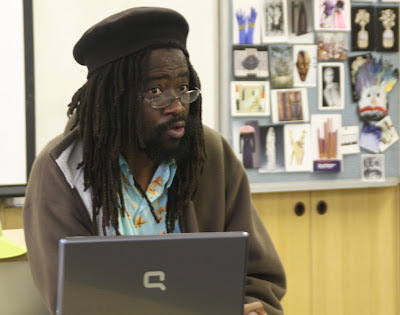 Munyaradzi Gwisai, who spoke in Auckland in April 2007. It has now been confirmed that detained labour movement activist and leading member of the International Socialist Organization Zimbabwe Munyaradzi Gwisai (pictured) and 45 other activists detained by the Zimbabwe state on February 19 have been charged with treason. If found guilty of treason, the activists risk a sentence of death or life imprisonment. They are being tortured to extract bogus confessions. The arrests followed a raid on a closed meeting that was discussing the implications of the revolutions in the Arab world. Gwisai is director of the Labor Law Centre and former Movement for Democratic Change (MDC) MP. We call on all readers, to urgently send protest messages calling for the dropping of all charges and the immediate release of the comrades. We also call on you to contact trade unions and unionists, human rights groups and members, and anyone else who can send such messages. Please send statements of protest to socialismfrombelow@gmail.com and copy to ashley_fataar@yahoo.co.uk and shanthabloemen@gmail.com. See below for a selection of protest statements. You can also email protest letters to the Zimbabwe embassy in Australia [which also covers New Zealand]. People can also call the following numbers to exert pressure – at least to let the powers that be know that people are aware of what is going on. In Australia (and New Zealand) please send an urgent e-mail to Zimbabwean officials calling for the activists and socialists to be released immediately and unharmed to zimbabwe1@iimetro.com.au. The National-led government's right-wing blitzkreig on our social welfare system is the opposite of what any decent society should be doing to support out-of-work people. The Christchurch Methodist Mission has produced an excellent overview of the facts about welfare in New Zealand, as well as strategies we should be adopting. Please share so that we can combat the misinformation and attacks on beneficiaries that the National government is leading. View document. 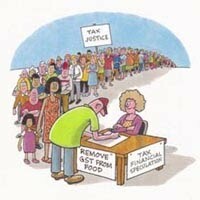 Tax Justice from PCS Union TV on Vimeo. The global financial crisis, caused by the speculative activities of the super-rich, resulted in bailouts of banks and other financial institutions in most developed countries in the world, including New Zealand. The cost of the bailouts and the economic fallout from the crisis has hit grassroots people, through job losses and income cuts, but also increased taxes to pay for the bailouts. But often, as this video makes clear, the super-rich and big corporates have been allowed to escape paying the levels of tax they should. Last year, John Key’s National government upped GST to 15% and lowered taxes for the most wealthy people in New Zealand, and gave big corporates a tax cut as well (company tax has been lowered from 30% to 28%, now one of the lowest corporate tax rates on profit in the world). The massive bailouts and tax cuts to the super-rich have led to governments around the world cutting spending on health, education, welfare and other essential public services. No wonder the call for Tax Justice is starting to sound out loud from ordinary people who are angry at what governments, in partnership with the banks and big corporates, are trying to get away with. 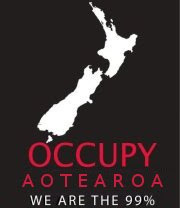 Help fight for Tax Justice in New Zealand. Join the campaign to remove GST from food and tax financial speculation instead. Click here for more info. Or contact directly Vaughan Gunson, Tax Justice campaign coordinator, email svpl@xtra.co.nz or phone/txt 021-0415 082. 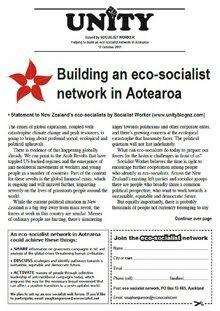 The World Social Forum (WSF) is alive and well. It just met in Dakar, Senegal from Feb. 6-11. By unforeseen coincidence, this was the week of the Egyptian people's successful dethroning of Hosni Mubarak, which finally succeeded just as the WSF was in its closing session. The WSF spent the week cheering the Egyptians on - and discussing the meaning of the Tunisian/Egyptian revolutions for their program of transformation, for achieving another world that is possible - possible, not certain. Somewhere between 60,000 and 100,000 people attended the Forum, which is in itself a remarkable number. To hold such an event, the WSF requires strong local social movements (which exist in Senegal) and a government that at least tolerates the holding of the Forum. The Senegalese government of Abdoulaye Wade was ready to "tolerate" the holding of the WSF, although already a few months ago it reneged on its promised financial assistance by three-quarters. When it comes to dealing with Hone Harawira, the options for the Maori Party aren't great. 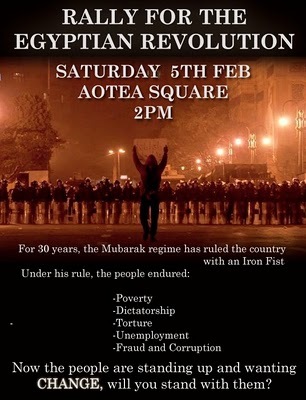 But whatever the outcome of the suspension hearing, the schism Harawira emblemises won't go away, because there is a fundamental divide opening up within what is rather simplistically referred to as "Maoridom". It's the divide between the haves and have-nots. Harawira's problem with his party is usually portrayed as being about his dissatisfaction with their role in supporting and legitimising a National-led government. 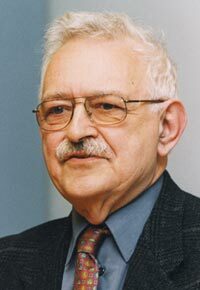 Thus the dispute can be characterised as one between pragmatism and idealism. As Pita Sharples put it, "If the Maori Party cannot establish itself as a bona fide partner in a government, then our chance is gone and probably there will never be another Maori party." In other words, Harawira is risking the very future of co-ordinated, self-determining Maori representation in parliament with his radical rhetoric and uncompromising style. Getting a lot less attention, especially in the mainstream (dare one say Pakeha?) media, is what the Maori Party itself is risking in the process of trying to behave like a "bona fide partner in a government". In November last year, Prime Minister John Key described as “far-fetched” the idea that investors could sue the New Zealand government directly in a secret international tribunal to enforce rules in the proposed Trans-Pacific Partnership Agreement (TPPA). This week, US trade negotiator Barbara Wiesel said that was no longer New Zealand’s position, according to TPPA critic Professor Jane Kelsey. Under standard US terms for such agreements, investors can claim millions in compensation from governments on the grounds that new regulation has adversely affect their investment. Under a TPPA that would apply to investors from all participating countries, including our largest sources of investment, the US and Australia, Jane Kelsey said. “In other words, the Key government is happy for pharmaceutical firms in the US, Australian banks or Singapore-based Brierley Investments to sue the New Zealand government for millions in compensation if they think new laws or policies are unfair or unreasonable or erode their profitability”, said Professor Kelsey. Professor Kelsey speculates on three explanations for the flip-flop. “The Prime Minister needs to be upfront about the government’s real position before the next round of negotiations begins in Chile on 14 February and explain why he is prepared to give foreign firms the legal power to override New Zealand’s sovereignty and extract settlements of hundreds of millions of taxpayer dollars”. Contact Jane Kelsey on (021) 765-055.